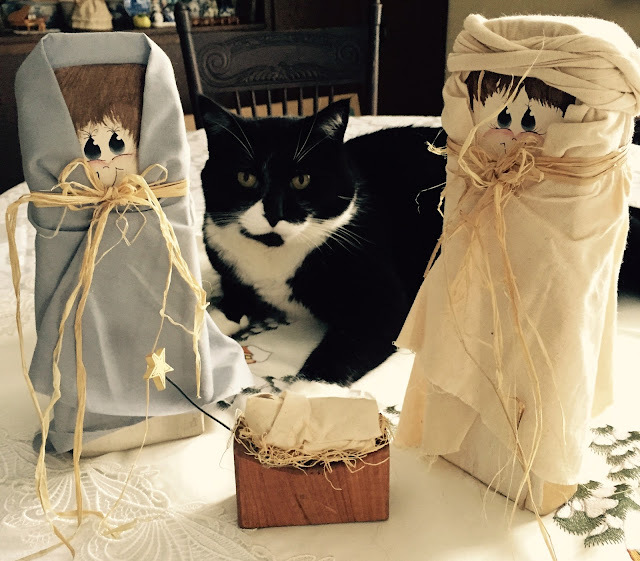 As the World Purrs: Merry Christmas! Gus: We are are spending Christmas Day with our Grandma, Uncle Clyde, and Aunt Bonnie. Our Uncle Clyde wanted to share a story with you. Merry Christmas from As the World Purrs! That's one wonderful story! 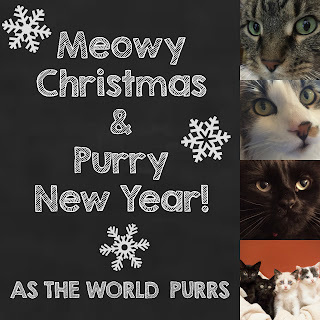 Hope you're having the most purr-fect Christmas ever!!! Love this post...such a sweet picture! Merry Christmas and Happy Holidays to you! Merry Christmas from our house to yours, Thank you so much for your kind words about our Georgie. That is so sweet. Merry Christmas! Thanks to Uncle Clyde for the story.....the "reason for the season".....and we love love LOVE the nativity scene! Hope you had a beautiful Christmas and here's to a GRAND new year! That was a great story! I hope your Christmas was totally purrfect! What a wonderful story! Merry Christmas to all!! We hope you had a lovely Christmas! AND IT WAS WHITE!! We saw! !